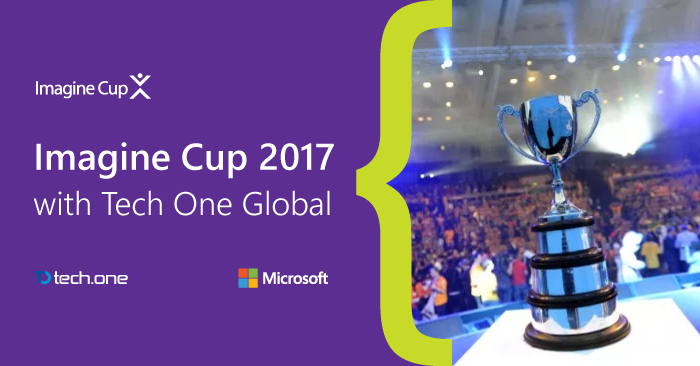 25 April, 2017, Manila, Philippines – The prestigious Imagine Cup held sponsored by Microsoft concluded with Team CIMOL from Indonesia crowned as the champions, beating nine other teams for the top prize. Built on Microsoft’s machine learning capabilities, Team CIMOL’s Hoax Analyzer is a web-based app that aims to combat the proliferation of “fake news.” The app identifies if certain contextual information can be categorized as a hoax. Team CIMOL hopes that their invention will help more users weed out false information and verify the sources of a claim before spreading them. A true innovation in the face of today’s digital risks. The first runner-up and second runner-up places were awarded to Team HeartSound from Singapore and the Philippines’ very own Team Opticode respectively. Team Opticode sought to improve the quality of life of the visually impaired with Minerva, a virtual assistant mobile application that amplifies the smartphone camera to identify objects in the real world. The user simply points the camera at a box of cereal, for instance, and the assistant will describe it aloud through the phone’s speakers. Tech One Global was proud to have witnessed the birth of new innovations. Represented by its CEO, Lars Jeppesen as a judge, Tech One Global is delighted to see the young brilliant minds at work and is thankful for the privilege to be a part of honing the innovations of tomorrow. By showcasing their brilliance in innovation, the top three teams will continue their innovation journey to the next level along at the Imagine Cup World Finals to be held at Seattle in July of this year for a chance to win $100,000 to be awarded by Satya Nadella, Microsoft CEO. They will be accompanied by four other student teams that were selected for their contribution in pushing the boundaries of technology. “It’s incredible inspiring to see students take their dreams from ideas to reality and compete at the global stage with the best and the brightest in the Imagine Cup” – Imagine Cup Lead, Pablo Vermandi. Lars Jeppesen, CEO of Tech One Global, expressed his excitement in seeing the new innovations that sprouted from the young minds of Imagine Cup. As an innovator and visionary, he believes that fresh ideas are always the key in moving the world forward. Lars believes that digital transformation is characterized first by the transformation before the digital; innovations happen not for the sake of innovation but because of the core concepts that beg for a different approach. A mindset that Tech One Global itself operates with. As a pioneer of digital transformation, Tech One Global believes that there’s a big potential in cultivating the innovators of a young and emerging market. Together with Microsoft, Tech One Global is looking forward for more opportunities to spread the ideas and concepts of digital transformation to help shape a digital future for the next generation.